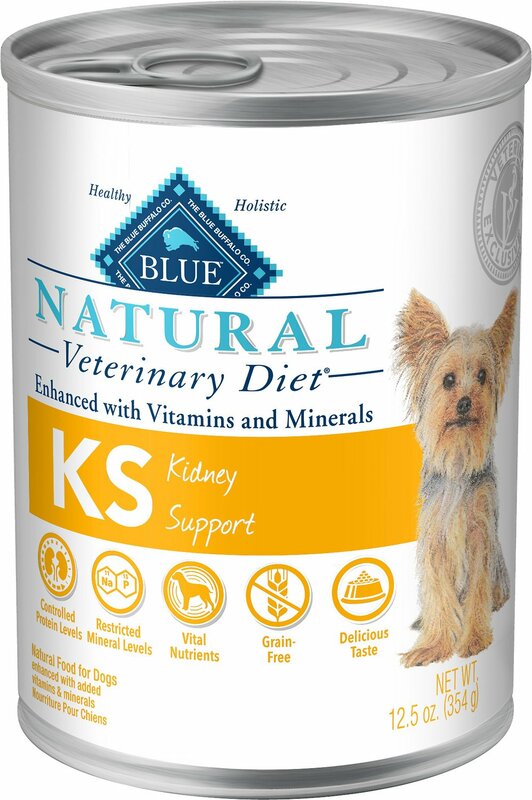 Feed your pal the finest natural ingredients featured in Blue Buffalo Natural Veterinary Diet KS Kidney Support Grain-Free Canned Dog Food. Made with controlled levels of protein from chicken to help manage your pal’s kidney workload. 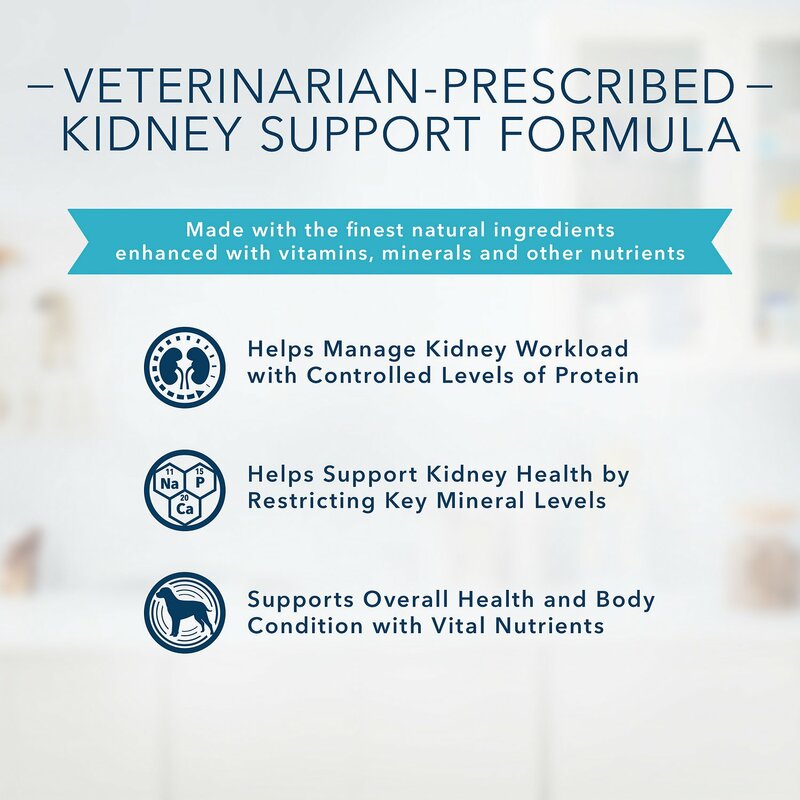 The grain-free formula also has controlled levels of minerals, such as phosphorus and sodium to help support kidney health, plus vital nutrients such as antioxidants, L-carnitine and omega 3 fatty acids to help support your pal’s overall health and body condition. This wholesome, natural diet has both beneficial nutrition and a taste your furry best friend will love. Kidney support canned dog food with controlled levels of protein to help manage your furry pal’s kidney workload. 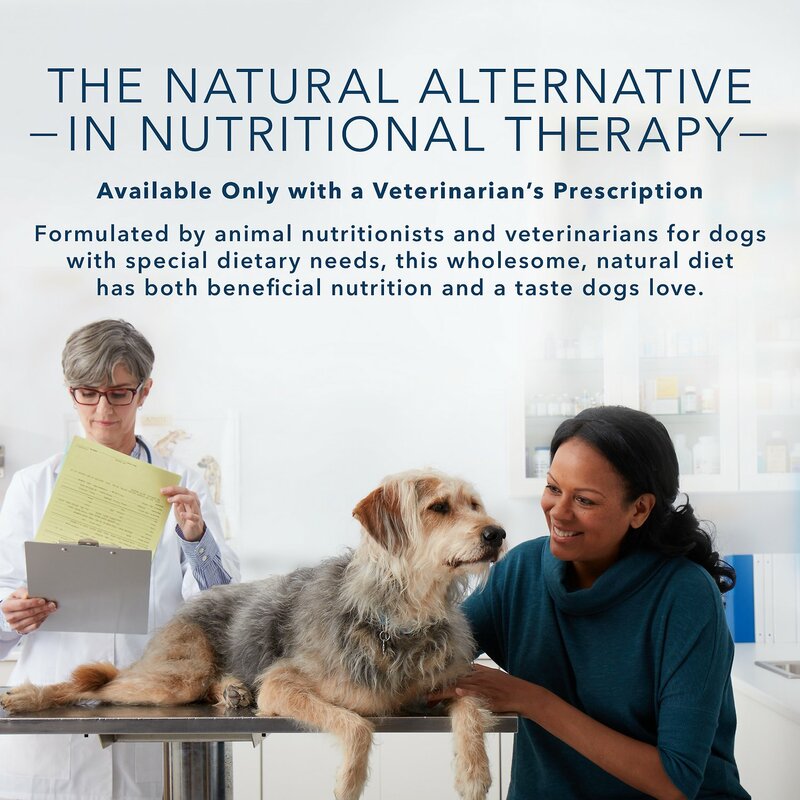 Prescription-only food that has both beneficial nutrition and added moisture from chicken broth for a taste your furry best friend will love. Chicken, Chicken Broth, Water, Potato Starch, Potatoes, Carrots, Peas, Pea Fiber, Chicken Fat, Flaxseed, Natural Flavor, Fish Oil (source of Omega 3 Fatty Acids), Guar Gum, Potassium Citrate, Carrageenan, Cassia Gum, Calcium Carbonate, Blueberries, Cranberries, Choline Chloride, Zinc Amino Acid Chelate, Iron Amino Acid Chelate, Salt, Vitamin E Supplement, Copper Amino Acid Chelate, Manganese Amino Acid Chelate, Sodium Selenite, Thiamine Mononitrate (Vitamin B1), Cobalt Amino Acid Chelate, Niacin Supplement (Vitamin B3), Calcium Pantothenate (Vitamin B5), Vitamin A Supplement, Riboflavin Supplement (Vitamin B2), Biotin (Vitamin B7), Vitamin B12 Supplement, Potassium Iodide, Pyridoxine Hydrochloride (Vitamin B6), Vitamin D3 Supplement, Folic Acid (Vitamin B9), preserved with Mixed Tocopherols. Quality Food But More Expensive Then Their Competitor. I purchased this item again because my senior dog needs a wet food that provides kidney support. He loves this better than a comparable kidney support wet food sold by a competitor. Blue Buffalo is more costly. Being a senior citizen living on a fixed income, the added cost of Blue Buffalo is becoming problematic. I really don't want to change from Blue but I will be forced to do so. Sad but true. Cocoa enjoying life at 14+! As an older dog, Cocoa the chocolate lab still has a big appetite but her ability to eliminate proteins is challenging for her systems. However, this food in both wet and dry helps her to support kidney function. Her vet recommended it. As a 14+ year lab, she is fortunate to have a healthy quality of life and we are blessed to have her in our lives. So this is the only Kidney food he'll eat however I have to add a little bit of honey bbq sauce, ketchup, or honey mustard. I've tried to give it to him without the sauce and he won't touch it. I'm glad he eats it because I've tried Hill's, Royal Canin, and Purina with no luck. Blue Buffalo has a pretty decent reputation and the first ingredient is chicken, not chicken byproduct. My dog is 13 and recently spent three nights in hospital in full renal failure. I have been trying different renal diets and this is a food she will accept and eat readily instead of turning her face away in disgust. She likes the pate texture vs the stews. I can tell she feels better and her appetite is increasing. It's not easy to find a renal food that is appealing but Foxy enjoys this one. My 15yr old dog had liked all wet food! A few weeks ago I was told we needed to switch to a Kidney diet. My vet picked out 5 different ones for us to try. This is the 2nd one and she would not eat it. On to the next. So far top choice is Hills chicken stew! We love Chewy! I had to switch foods because of a recall. My dog needs low protein and low fat. This food meets both of those requirements. And she loves it! I love it too -- you can see actual peas, carrots and potatoes in the food! We love everything about Chewy.com, unfortunately our girl only had a couple of cans of this food as we had to say goodbye to her this week. We ordered this because she stopped eating the prescription diet from our vet. Keep up the good work on behalf of all of our sweet animals that we call family. Casper has stopped accepting Royal Canon Prescription Renal wet Diet which he preferred over Hill's wet K/D but he is now eating Blue Buffalo wet Kidney Support and I'm trying to add same in dry form. I hope this continues! My hunch is that the texture of the pate is very smooth...better for swallowing. My 4 1/2 year old was recently diagnosed with chronic Kidney disease and we went through numerous varieties of food trying to get her to eat. Since she was on Blue Wilderness kibble prior to her diagnosis I tried this food and she loves and eats it. Her health is improving and I am getting my cheeky little girl back. Her blood numbers are improving.